Its Monday again! What a fabulous range of non-bird photos last week. Well done everybody! 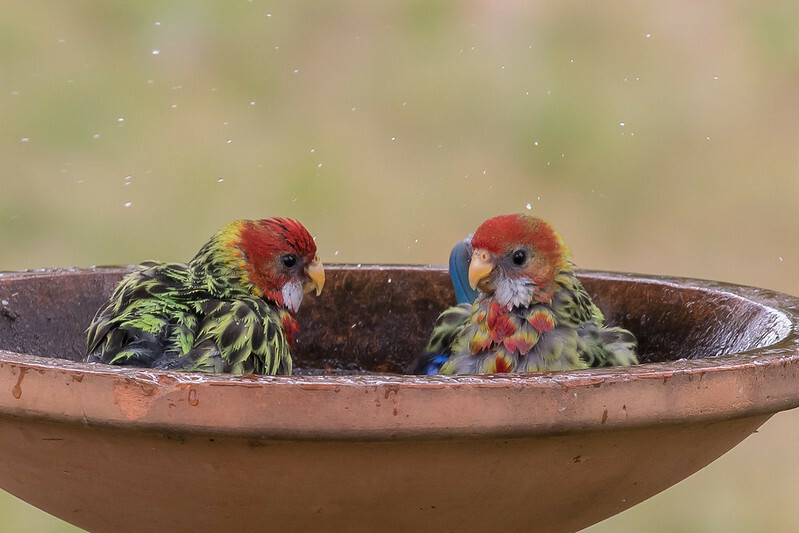 This week I thought we would go back to an old favourite - those photogenic parrots. Share your favourite parrot photos. 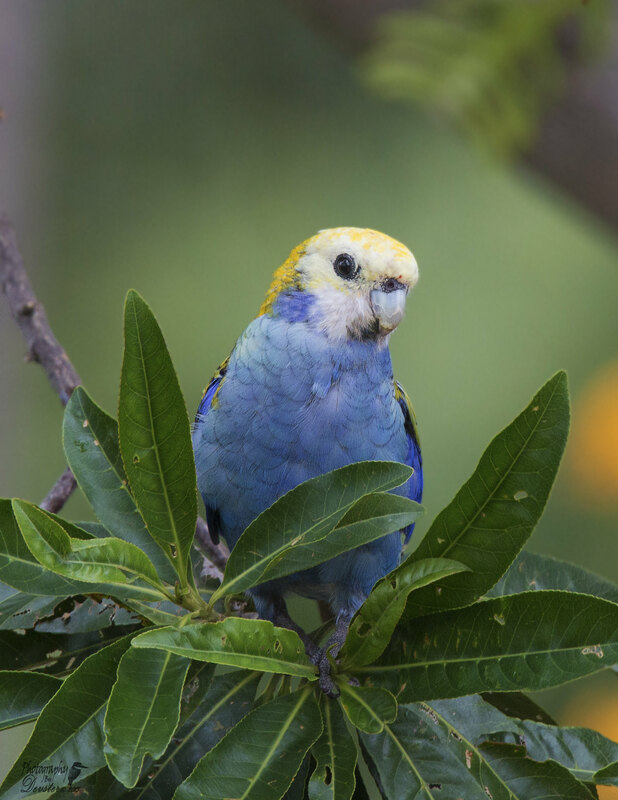 Its been a while, but here is a Pale-Headed Rosella in our garden. 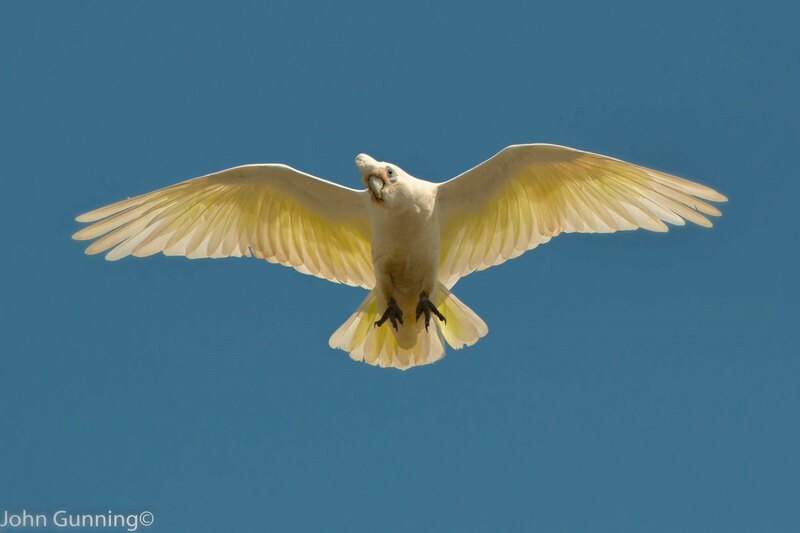 Little Corella. A bit of trivia about the Little Corella....The Little Corella (Cacatua sanguinea) was the first Australian parrot observed by European man, in this case, William Dampier who described it in his book Voyage to New Holland, as a “type of white parrot” when he saw them on the North-West coast of Western Australia on the 22nd of August 1699. As European settlement increased and more parrot species became known, New Holland became known as Terra Psittacorum or the Land of Parrots. 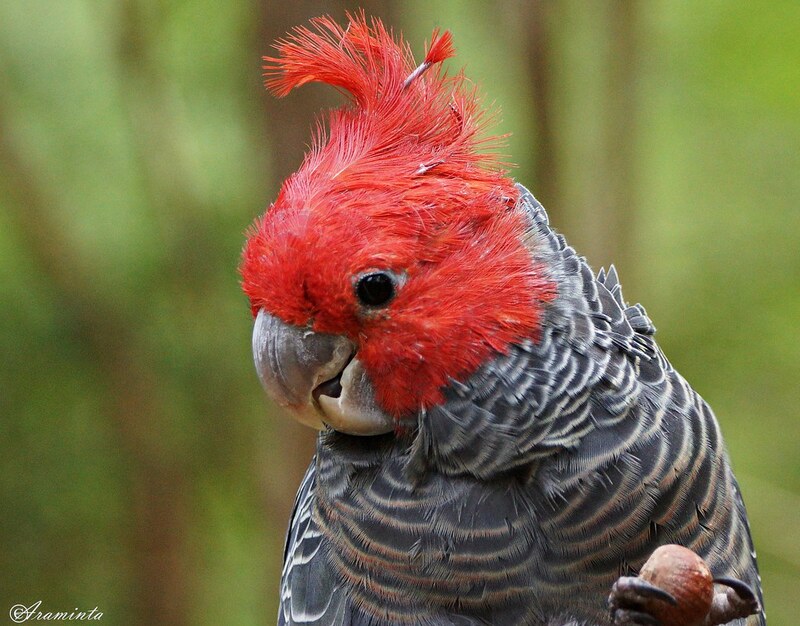 Crimson Rosella - taken on a recent trip to Lamington National Park. 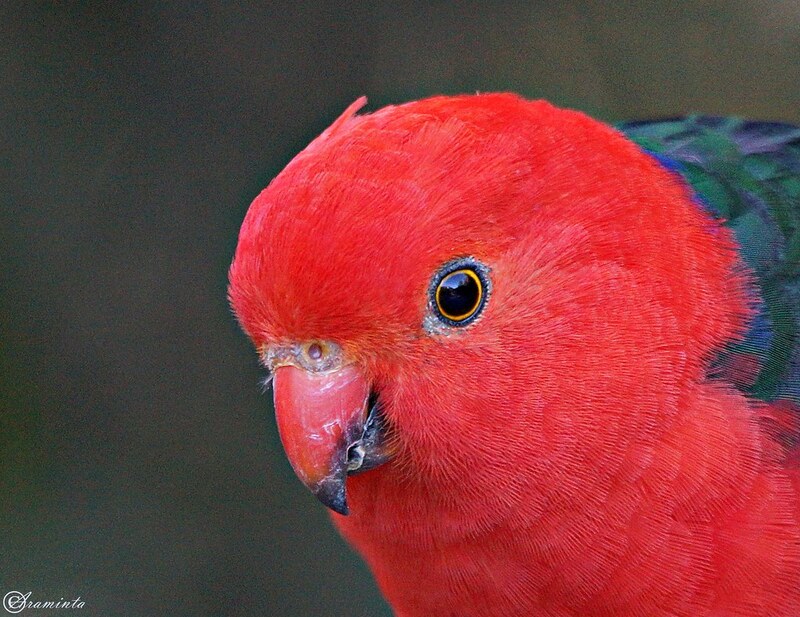 A male Eclectus Parrot giving a smug look. 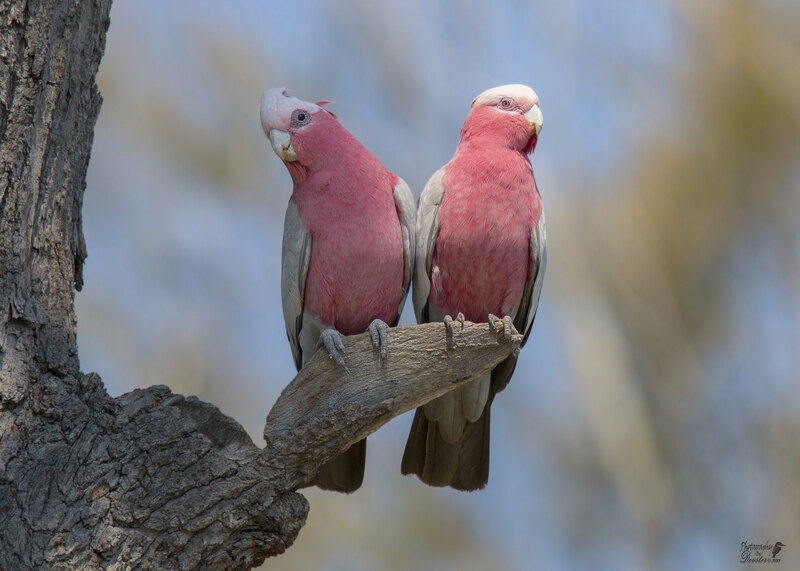 A pair of Parrots, well Galahs. 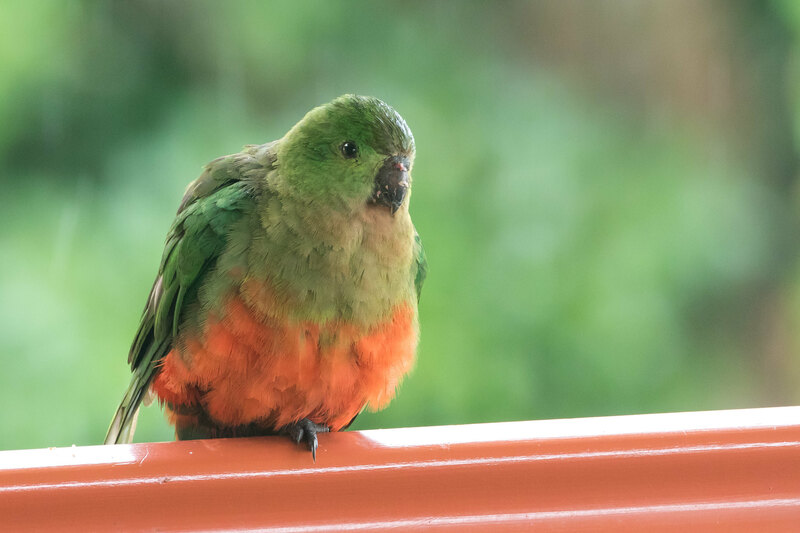 This immature King Parrot decided it would have forty-winks on my verandah last week whilst it was raining. Not a problem as far as I'm concerned. Adult male King Parrot, coming in for a drink yesterday. This beauty was born here! Loved seeing him on his first flight! We could tell which one was him each time he and his parents landed. His crash lands were cute to watch. Our scribbly gum tree hollows produced many parrot species this past spring and summer including Musk Lorikeet, Eastern Rosella, Rainbow Lorikeet, Sulphur-crested Cockatoo, Little Corella, Galah and Long-billed Corella. We don't alway get to see the debut flights of the young and we do not get too close to trees with hollows so rely on the parent bird presence or absence and beaviours to let us know when the young have fledged. So many gorgeous photos! What an array of parrots! 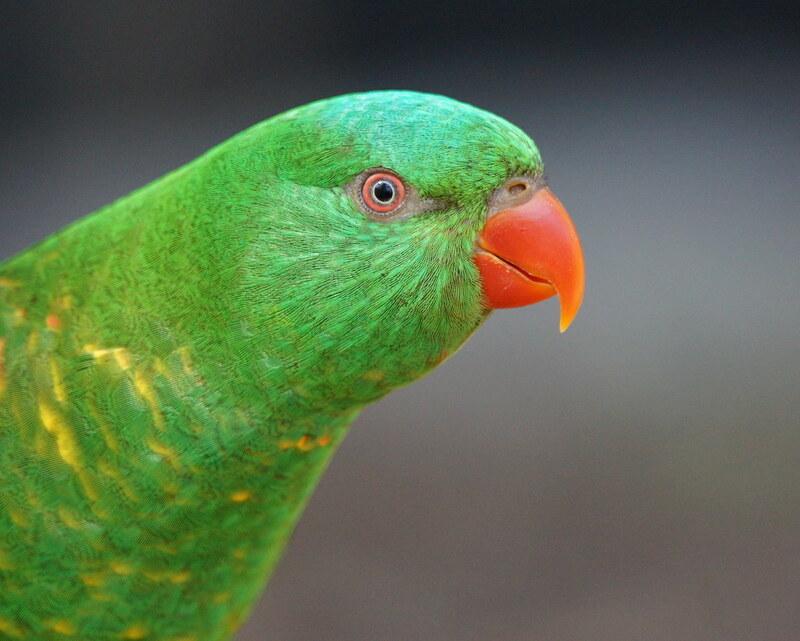 Because it's Monday today, and Holly will soon change the topic, I will quickly post one more Parrot. So I guess the Scaly-breasted Lorikeet is it then.